This is the “Forest Lounge”. Get away from the everyday noise and come into the fairy tale like atmosphere and listen to the rich song of the forest. Eventually you will be able to hear the story of flowing soothing energy. Even though it is surrounded by the abundant forest, it is only a hour and a half away from Sapporo: the easy access is the secret reason for its popularity. 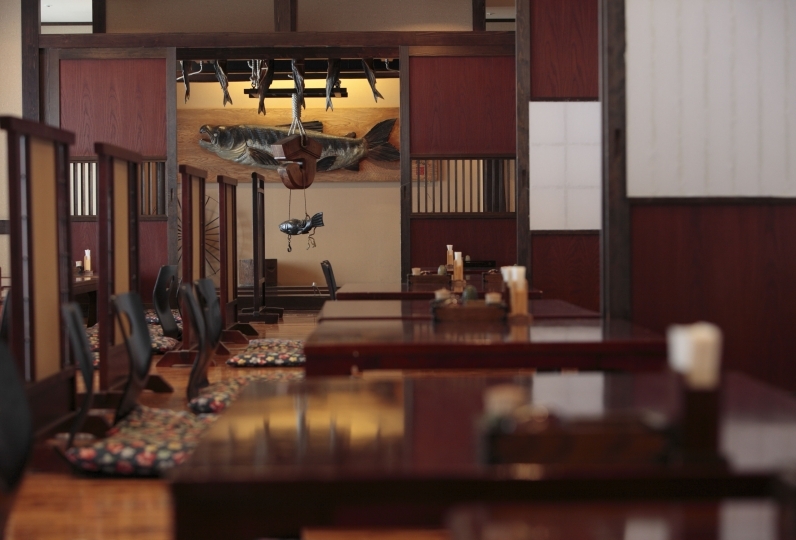 Please enjoy a relaxing stay here that will exceed beyond the limits of a hot spring ryokan. The rooms are arranged in a Japanese modern styles which will invite you to a “luxurious yet deep sleep”. With a forest view, hammock, and soft sofa, all the things to delight your heart have been assembled. 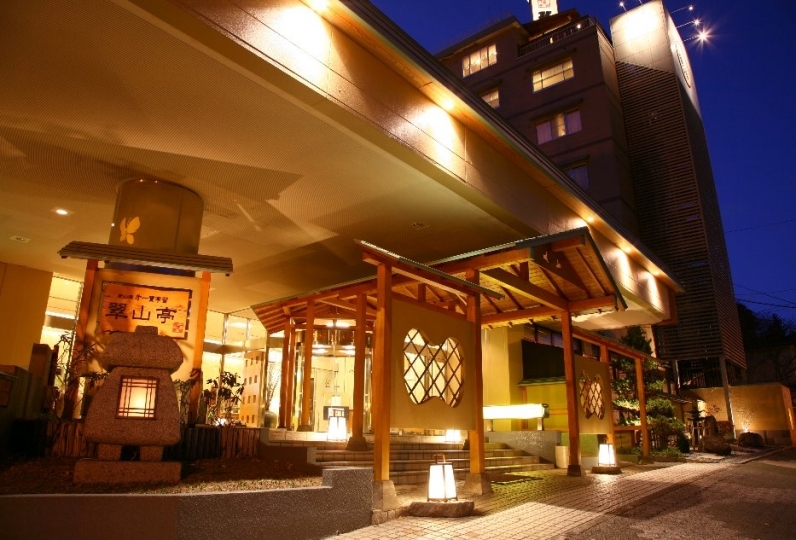 In the hot spring, spa, and restaurant, all have the atmosphere where you can feel the forest. Stretching beyond the windows and trees are the fairyland of “delicious feasts” sometimes served with chic dinner trays or a sweets party. Your heart and tongue will be delighted and you will be able to catch a glimpse of this inn’s spirit. Depending on your mood at the moment, play freely with the forest. We will be waiting for your visit with a place for you to quietly rest your soul. I think that the concept was clear and it was a very interesting inn. Especially we enjoyed many things that changed meals. The variety of delicious dishes makes this place seem as though it has sprung out of a fairy tail. 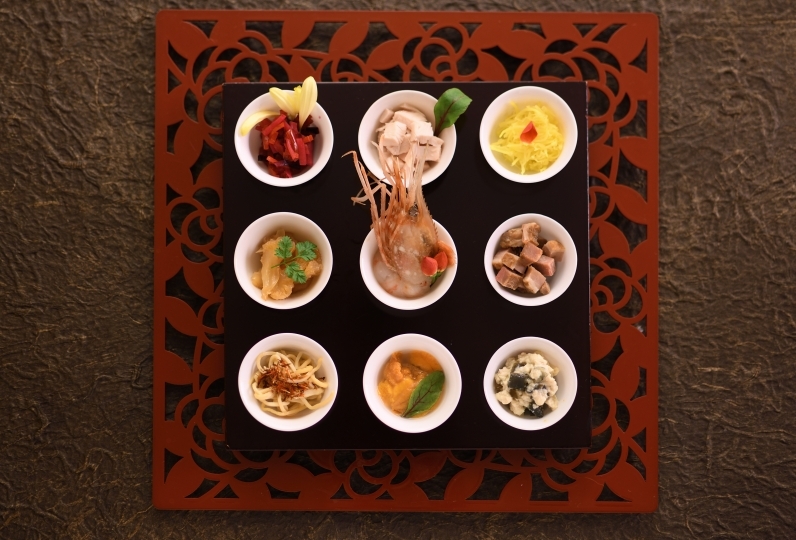 Cooked in various ovens, the pizza and other oven and vegetable dishes come together to create a luxurious japanese/western style buffet. The Mori no Uta spa gives the atmosphere of a forest oasis. You can listen to the sounds of birds or trees. There is a large ceiling public bath, outdoor bath surrounded by the forest, and a healthy aesthetic room for women. Your body and soul will heal in this forest spa. ※In the women public bath there a free stone sauna. The metal object in the centre surrounding the fire illuminates the tree stretching towards the sky. The green carpet is at one with the green grass. Please feel free to remove your shoes and enjoy the grass with your bare feet. In one corner of the Forrest Lounge is the bar with an appearance close to that of a hidden lair. We have a range of exclusive amenities and goods for your use. Please try the delicious cakes and baked sweets offered at the patisserie labo which makes use of Hokkaido's unique ingredients. 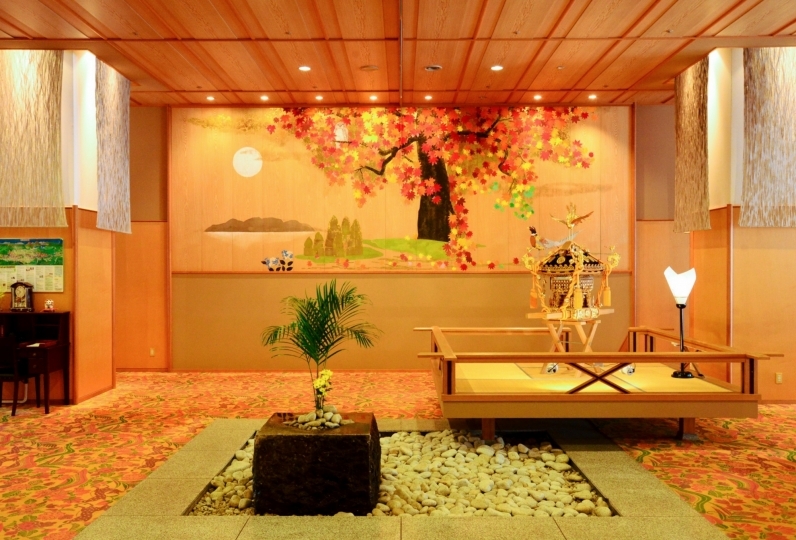 A Treatment SPA making use of Hokkaido's natural minerals and sights. Please enjoy the private areas with friends or with partners. We have a range of pillows from which customers can select pillows best suited to their bodies and preferences. This plan does not include 150 yen bath tax. At the Makomanai Station on the Nanboku Subway Line a free shuttle bus is available.